The all-new Poster Price Guide consolidates a full pricing history of over 40,000 vintage posters sold over the past 33 years. 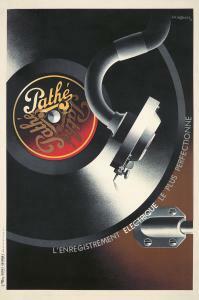 Pathe (1932), by the French illustrator A.M. Cassandre (1901-1968), sold for $96,000 at Poster Auctions International, Inc., in March 2017. 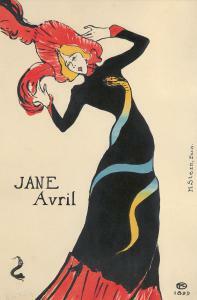 Jane Avril (1899), by the French illustrator Henri de Toulouse-Lautrec (1864-1901), sold for $180,000 at Poster Auctions International, Inc., in Oct. 2015. 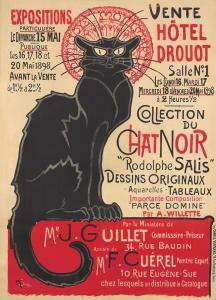 Chat Noir / Drouot (1898), by the French illustrator Theophile-Alexandre Steinlen (1859-1923), sold for $90,000 at Poster Auctions International, Inc., in May 2015. It's an all-new version of PAI's poster-dedicated database, consolidating a pricing history of over 40,000 rare vintage posters sold over the past 33 years. NEW YORK, N.Y., UNITED STATES, August 9, 2018 /EINPresswire.com/ -- NEW YORK, N.Y. - Poster Auctions International, Inc., has unveiled its all-new Poster Price Guide, an expanded and revamped version of its poster-dedicated database, consolidating a full pricing history of over 40,000 of the rarest vintage posters sold in 75 proprietary auctions over the past 33 years. 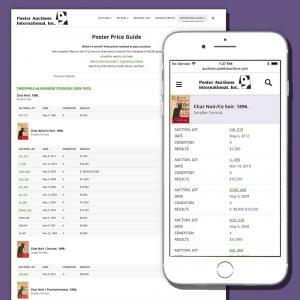 It’s a must-have reference tool for poster collectors and dealers worldwide.